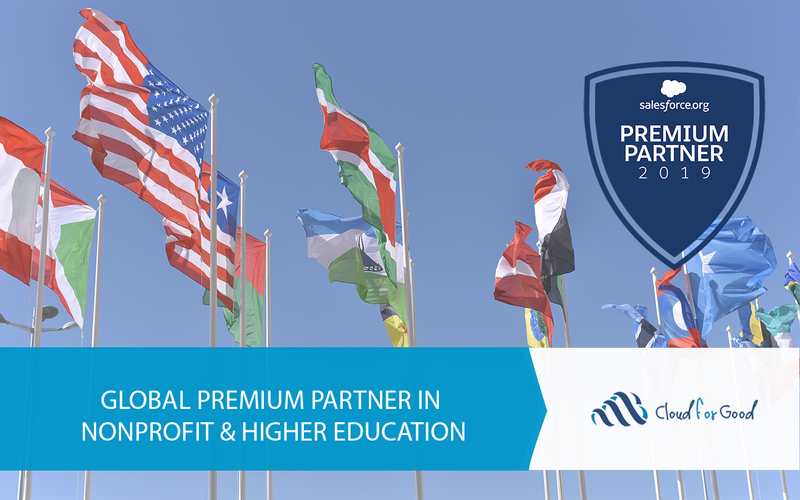 April 11, 2019 [Asheville, NC] – Cloud for Good has announced that it has become a Salesforce.org Premium Partner in North America under the Nonprofit and Higher Education designations. Cloud for Good continues to grow globally and receive accolades for its accomplishments. They’ve been named to the Inc. 5000 list of Fastest Growing Companies five years in a row, been ranked on the Best Places to Work list five years in a row, and in 2018 were named the #1 small organization on Computerworld’s Best Places to Work in IT list.